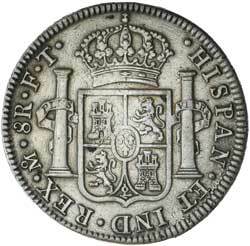 MEXICO, Charles IIII, eight reales, 1802FT, Mexico City Mint (KM.109). Lightly toned, nearly extremely fine. 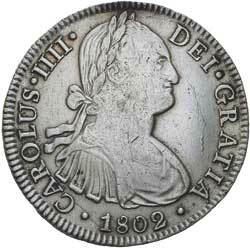 MEXICO, Charles IIII, eight reales, 1807TH, Mexico City Mint (KM.109). Toned, nearly extremely fine.